While at first sight this is a book about dowsing and how to use a pendulum, this book is really about energy, the unseen world within us and around us, and most of all – this book is about developing your intuition which ultimately supports your spiritual evolution. If wanting to open, expand or fine-tune your intuitive abilities, then you are in the right place. If ultimately your goal is to no longer need the pendulum and achieve the same results using your innate intuitive abilities, then you are in for a treat. When dowsing does not work. How to choose a pendulum. How to cleanse your pendulum. How to charge your pendulum. How to program your pendulum. How to store your pendulum. How to correctly formulate your dowsing questions. How to avoid asking leading, incomplete, or assumptive questions that are impossible for energy to answer correctly. Goal Number 1: Is to help you learn or re-learn how to use a pendulum in the right way. When you apply the techniques taught in this book, your dowsing sessions will increase in accuracy and consistency and your confidence levels in your precious intuitive channels begin to expand unrestricted. Goal Number 2: Is to help you move on from using a pendulum to not having to pick up a pendulum at all. In other words, you have the opportunity to achieve the same results using your body. We call this muscle testing or Kinesiology. Although this book does not cover muscle testing, this book sets the foundation to helping you get there. Goal Number 3: Is to help you expand your basic dowsing skills to shift to advanced transcendental dowsing, which is my favorite form of dowsing. 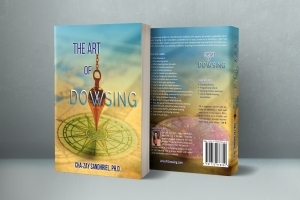 Advanced dowsing skills are for those seeking to work beyond the linear time line by using dowsing to bring healing to self, others and the world at large. This book does not teach advanced dowsing techniques but it will give you the solid foundation that is so essential to move on to advanced dowsing later. Other things not covered in this book are map dowsing, lottery dowsing, technical dowsing, Hertz dowsing, percentage dowsing, past-life or future-event dowsing, DNA dowsing, and so on. *For bulk orders (up to 40% discount) contact us HERE. What Can Dowsing Be Used For? How Are Dowsing and Entrainment Connected? Most chapters contain a special Q&A section for easy reference based on topic. Throughout the book a total of 81 additional questions are answered. These questions have come from students throughout the years of teaching dowsing courses to thousands of students from around the world. Whether you are a business professional or an energy healer, this book lays the foundation of using a pendulum the right way. We define the right way by working with the harmonious and entraining flows of energy as dictated by Nature, while practicing caution to not opening portals that must remain closed. This book was written for curious and open-minded individuals who are ready to tap into the unseen realms of our manifested Universe. 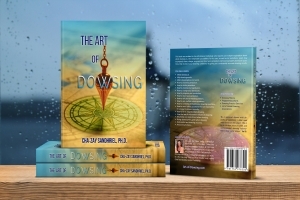 You are truly blessed having found this book because you are about to learn how to set your dowsing foundation the right way. The most frequent complaints I get from experienced dowsers is that consistency and accuracy is lacking. Let us change this once and for all. 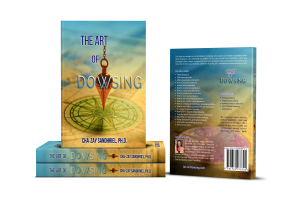 When you purchase this book (print or ebook version), you will receive a link so you can download and print the dowsing charts presented in the book (registration required). Please note that the print version of the book contains all illustrations in black and white. The eBook version (Kindle) contains all charts and illustrations in full color. I’ve been using a pendulum to practice my dowsing skills since I was a teenager and absolutely love this tool. 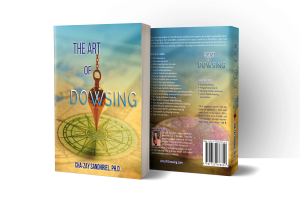 Dowsing has been a wonderful and easy-to-use tool to help expand my intuitive channels and I’m pleased to pass this wonderful, practical skill on to you. I have been a dowsing instructor for over ten years. I’ve presented at local dowsing chapters in the US and teach several online dowsing courses, including dowsing certification courses to thousands of students from across the world. My courses are taught in over 150 countries! I also teach intuitive training courses that complement dowsing in the most practical way. 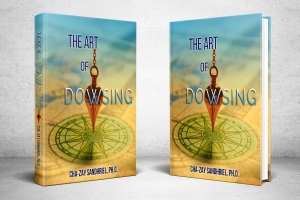 Whether you’re a beginner or seasoned dowser, the courses here can help you take your dowsing skills to the next level. Whether you want to learn how to cleanse, charge or program your pendulum, or you want to discover the power of transcendental dowsing – you will find it here. You will also find deviceless dowsing courses and muscle testing and kinesiology courses. 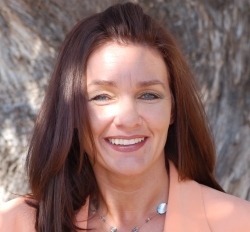 All to help you take your intuitive skills to the next level. I look forward to welcome you to class! Get the print book shipped to you. Illustrations and dowsing charts are in black and white only. Get immediate access to the Kindle version. Illustrations and dowsing charts are in full color. Want to bulk order this book for your book club or dowsing chapter? Contact us here for details.